Budapest has a wide variety of accomodation , from modern luxury to classical, boutique, business and other special hotels you can choose from.I will help you with providing accomodation that best suits you. Let me know your wishes and I will help you with all booking! Discover the magnificence of Four Seasons Hotel Gresham Palace Budapest, a luxury hotel located at the end of the Chain Bridge offering panoramic vistas of the Danube. A unique art nouveau landmark and historical elegance. The entrance to an architectural work of art, where contemporary design and historical architecture come together in a harmonious blend: this is the welcome reserved to guests at Boscolo Budapest. Style and exclusivity, at the Guaranteed Best Rate. Not just another hotel, it’s a lifestyle” is the motto of Budapest’s newest 5-star luxury hotel, the urban chic Buddha-Bar Hotel Budapest Klotild Palace, ideally located on the corner of Váci utca, in the heart of Budapest. Hundred-year-old Klotild Palace. 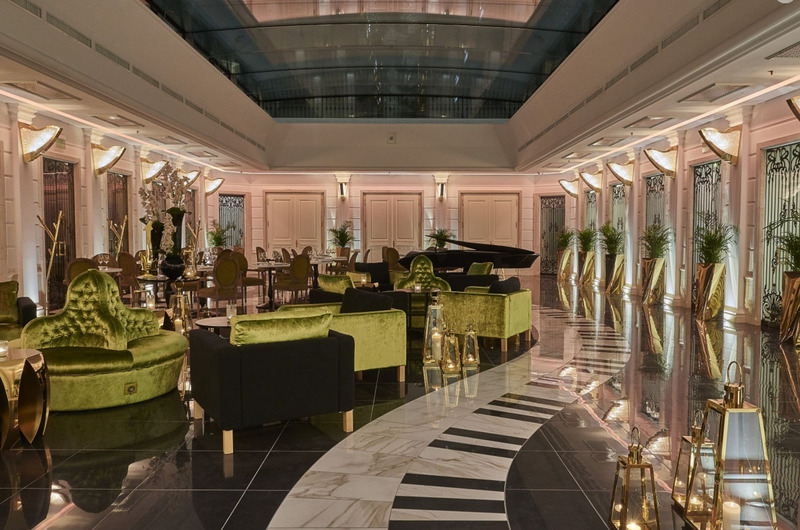 The Aria Hotel Budapest is a luxury boutique hotel with an exquisite design inspired by music. To compliment the musical concept, master designer Zoltan Varro’s vision was to simultaneously recreate the rich, lavish atmosphere of a historic Hungarian palace.